Placing a tax on business services in California has the potential to raise an additional $122.6 billion annually for state and local governments, according to a recent Board of Equalization study. A services tax could become a reality if Senate Bill 8 is approved by the Legislature and signed by Gov. Jerry Brown. Although SB8 has yet to be considered by a policy committee, legislators are keen to see increased funding and stabilized revenue for state programs, while leaders in California’s $1.45 trillion services industry are panicking and threatening to leave the state. The BOE is concerned about the major bureaucratic expansion needed to administer the new tax. 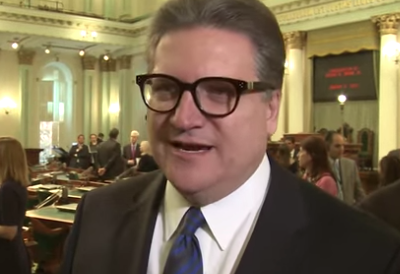 The bill, dubbed the “Upward Mobility Act” by its author Sen. Bob Hertzberg, D-Van Nuys, is actually intended to increase tax revenue by only $10 billion. It proposes to dispense $3 billion of that to K-14 education, $3 billion to local governments, $2 billion to higher education and $2 billion to earned income tax credits for low-income residents. The bill exempts health care and education services as well as businesses with less than $100,000 in annual gross sales. The services tax would not replace the state sales tax, which brought in $48 billion in 2013-14 — equivalent to $1,300 for each California resident, according to the Legislative Analyst’s Office. “Over the past 60 years, California has moved from an agriculture- and manufacturing-based economy to a services-based economy,” the bill said. “As a result, state tax revenues have become less reliant on revenues derived from the Sales and Use Tax on goods and more reliant on revenues derived from the Personal Income Tax. “In 1950, the Sales and Use Tax comprised 61 percent of all state revenues; today, it accounts for about 30 percent. The Personal Income Tax accounted for 12 percent of total state revenues in 1950; today, it accounts for more than 60 percent. “Moreover, California’s General Fund tax collections are heavily dependent on the earnings of its top earners. This has led to dramatic revenue swings year over year … [which] have led to the suffering of California’s residents. “Essential services, such as health care and child care for low-income families, were cut at a time when they were needed most. In addition, the state cut billions of dollars to education, including adult vocational and literacy education, which could have helped low-income families recover from the recession. Business services comprise 80 percent of the economy today, according to the bill. Exempting them creates inequities; for example, taxing the purchase of TurboTax software but not taxing H&R Block. Broaden the tax base by imposing a sales tax on services to increase revenues. 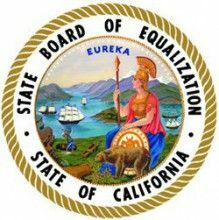 Enhance the state’s business climate and incentivize entrepreneurship and business creation by evaluating the corporate income tax to determine whether it is meeting its intended purposes, including whether it is borne equitably among California’s businesses and what impact it has on the business climate, while at the same time linking changes to a more reasonable minimum wage. Examine the impacts of lowering and simplifying the personal income tax while maintaining progressivity. The measure’s goal is to reduce personal income tax rates for low-and middle-class-income households so that families earning $100,000 pay only $1,000. The revenue reductions would phase in when new revenues replace revisions to the personal income tax and corporate tax. The BOE’s operations will be significantly impacted. 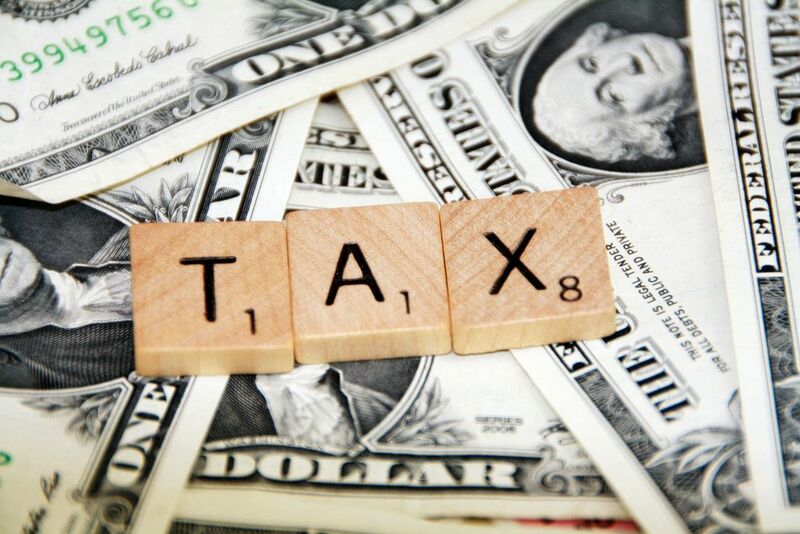 The BOE currently has over 1 million registered taxpayers who report sales tax on tangible personal property sales. Extending a broad-based tax on service providers’ sales could add millions of additional taxpayers — the largest expansion of BOE’s scope and role since sales and use tax was first established in the 1930s. Extensive outreach and taxpayer educational efforts would be necessary. A broad-based tax on services would require mass notification, educational efforts and outreach services in a short period of time. Adequate lead time is critical. [A] 12-month lead time would NOT provide sufficient time to prepare for and administer a broad-based tax. Definitions of taxable and nontaxable services must be clear and comprehensive. A tax on certain services provided to or by interstate businesses raises uncertainties in determining the portion of the service performed in California, and any proposed legislation should sufficiently address this issue. For example, what portion of the charges for a national advertising campaign would be subject to a proposed tax in California? Different tax rate on sales of services and sales of goods adds complexity. The financial impact on service providers who would be required to register and report sales tax cannot be minimized. It would be necessary for service providers to maintain point-of-sale systems, or similar software, to account for and properly remit sales tax. The cost for such systems would cause significant hardship in many cases. As significant consumers of services, all levels of government would be impacted by a tax on services. Potential for referendum or repeal. If a tax on services is suspended or ultimately repealed, the state may not recover costs associated with the expansion. Four states — Florida, Massachusetts, Maryland and Michigan — all enacted and then later repealed a tax on services. At the BOE’s April 28 meeting, several board members expanded on those concerns. Board member Diane Harkey said she’s concerned about trying to enforce the tax on small businesses. “I for one don’t want the BOE to once again be hunting down all the little guys to try to eke a few dollars out of them,” Harkey said. Business leaders have expressed their concerns to Harkey. Board member George Runner is concerned that the BOE might have to quadruple its staffing to 20,000 employees to deal with an additional 2.5 million businesses paying the services tax. But, he said, the BOE analysis is a good starting point for a discussion of the impacts of the tax. “I look at this as just base information,” said Runner. “And then it’s going to be up to the legislators down the street to figure out how to narrow the bill. I think, as Sen. Hertzberg has said, he’s got some thoughts in his head in regards to what [services] he’s going to include and exclude. Board member Jerome Horton said he hopes legislators will not focus on taxes simply as revenue generators. “If you look at what I believe the initial purpose that the founding fathers had when it came to taxation, was to modify the behavior,” he said. “If the behavior that we want in California is to create jobs, if the behavior that we want is to address poverty and those things in our society, I believe we can find a consensus in order to be able to fund that. Those folks include the California Taxpayers Association, whose fiscal policy director, Therese Twomey, has dissected the idea of taxing services. 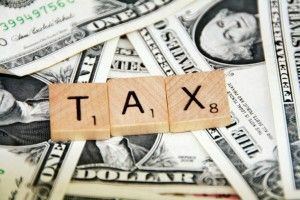 “In addition to problems related to competitive disadvantages, job loss and tax administration, taxes on services raise a host of other concerns, including increasing costs for government, disproportionately impacting small businesses, tax pyramiding, etc.,” she said in a CalTax newsletter. Hertzberg responded to the BOE analysis in a press release. He noted that the BOE estimate overstates the revenue expected from his bill because the estimate includes education and health-care services, which the bill excludes. “Details about SB8 will continue to unfold during the year; its first policy hearing has not yet been set,” he said. OKKKAAAAAYYYYYYYYY. So which taxes are going to be CUT? Let me guess. NONE! Yet we have the highest statewide sales tax rate in the nation. Our sales tax rate has more than DOUBLED since 1962. The reason for the sales tax revenue percentage “drop” is NOT that sales tax revenue is languishing. It’s that CA has dramatically raised OTHER taxes (primarily the state income tax), and all that revenue pouring in results in the sales tax revenue PERCENTAGE dropping. We have a SPENDING problem, not a revenue problem. The bill, if passed in it’s present form, would be a HUGE incentive for service companies — firms that now constitute 80% of the CA economy (including accounting firms, attorney groups, etc.) — to leave the state. It just might be the tipping point that starts a dramatic mass exodus of both businesses and individuals from the Golden State. Frankly, this bill is so wacky that I’m confident it won’t become law. There’s many business groups that will fight this one to the death. Perhaps it’s just an extortion measure by the Democrats — to coerce campaign contributions (a.k.a. TRIBUTE) from service firms. But then, this IS California, where the fun never stops. I may yet be surprised. Again. Well stated and nothing but facts. Service tax is an enormous way to tax end users who need a plumber, have a car repaired, have your home or business cleaned, etc. This is so big that it actually will slow down the economy due to the increase in rates across the board for alot of service industries such as mine. Newspaper delivery. Service at the Apple Store. Socialism in the 10th degree. Another way to take from those who have & give to those who don’t. $100,000 GROSS is not that much. The NET is probably under $20,000. Cost of doing business in this state keeps going UP & as Richard said, more & more people & businesses are moving out. What an Orwellian name Shitsburg came up with. A 122 billion dollar tax increase is going to create jobs…only in the minds of the Corruptocrats in Sucramento. And anyone who think the Corruptocrats will lower the income tax is insane. Hey, someone has to pay for the GED cops, prison guards, firewhiners and a bazillion other trough feeders “retiring” at age 50 with $5-$10 million pensions. In 1962 GED educated gov employees did not make more than private sector doctors, dentists, CPA’s, lawyers or a hundred other private sector professions that require 7-15 years of college, as compared to a GED. This should not surprise anyone. Redistribution of wealth through more and higher taxes is at the core of Democrat policy. LOL…in 1950 the CA sales tax was a WHOPPING 3%, and it accounted for 61% of state revenue. Today the sales tax is over 10% in many areas, and is the “go to” tax every single time the trough feeders want to pick your pocket. What does THAT tell you??? So if that 3% were still the rate today the CA sales tax would be bringing in about 10% of taxes, not 31%, and certainly not the 61% in 1950. Nope, sorry, but raising taxes every year is never go to be the answer when GED cops and other gov employees are becoming millionaires while in real life a private sector GED employee is lucky to even have a minimum wage job. California’s over regulations have successfully driven out most of the manufacturing, and now we want to attack the services sector with a service tax. Again, those services that can leave and provide those services from out of state will be incentivized to do so. Between 1990 and 2012, California lost a staggering 40% of its manufacturing jobs (more than 842,000) during a time at which the population grew by more than 25%. California energy policies and over regulations have already created a competitive disadvantage for California businesses. The prices of California energy and electricity across all sectors combined (residential, commercial, industrial, and transportation) are notably higher than comparable prices in neighboring states or U.S. averages. The continued over regulations associated with the California go-it-alone environmental crusade have successfully moved much of the manufacturing and middle class out of California, leaving behind the upper and lower class. Now we’re doing everything possible to attack the services industries in California. Excellent comment, Ronald. Manufacturing jobs are often great jobs for minorities, but progressives don’t much care. The American Tort Reform Foundation ranks CA the “worst state judicial hellhole” in U.S. – the most anti-business. The U.S. Chamber of Commerce ranks CA a bit better – “only” the 4th worst state (unfortunately, sliding from 7th worst in 2008). From 2007 through 2010, 10,763 manufacturing facilities were built or expanded across the country — but only 176 of those were in CA. So with roughly 12% of the nation’s population, CA got 1.6% of the built or expanded manufacturing facilities. Stated differently, adjusted for population, the other 49 states averaged 8.4 times more manufacturing growth than did California. ….and Mr. Hertzberg, when the $1.45T “Services Industry” folks ALSO LEAVE this state, then what? It’s way past time for the State of Jefferson! I do not favor the taxes on the services industry. But, I will suppot my state till the death. If you want to live in “Jefferson”, rename Rhode Island. You cannot have California! What are the odds that this passes? As I said in my comment above, “This bill is so wacky that I’m confident it won’t become law. There’s many business groups that will fight this one to the death. Perhaps it’s just an extortion measure by the Democrats — to coerce campaign contributions (a.k.a. TRIBUTE) from service firms. This is a “watchdog” story indeed. Much appreciated. This is the Euro VAT tax on steroids……job growth for the young and dumb as well as reentry seniors bye bye…..
Purchasing power drops…..big box stores BK. Tech trinkets collect dust on docks in China! Don t forget last week that Gov. ( I am not rich) said he had analysts working to derive a mileage tax for vehicles. Hey Jerry, the former attorney at Gap that is your wife…she doesn’t t live high. That is why she was in corporate law, to work representing the sweatshop employees making Gap crap, not to be rich. Two hypocrites living like royalty and pretending the opposite. Good acting job. Desi why so sour and glum all the time? Warts and all Kali is pretty good. Anything of SUBSTANCE to post, Uhaul? Obviously, NOT. The quintessential troll. Levity in a world that does not care……could you imagine rounding up service workers to file quarterly taxes….hardly…..
Substance….leave it to others with higher pay grade and intellect….Uly is just a poor working slob rubbing shoulders with you penny loafer alarmists! Woo, busy Sunday. I am very dead, but heaven is great. I was enjoying a cigar with Joe the Carpenter, Jesus’s dad. We had a good laugh recalling when I told Gov Brown to get the f out of India. That pompous, self-righteous lying son of a b. I can’t t wait to watch the jerk squirm in Hades. .I don t know his wife, but I will be watching. I am told she likes expensive watches….sign of Lucifer. CA population has nearly quadrupled since 1950. Even if you ignore the massive increase in welfare cases and illegals, CA’s taxpayer base has at least doubled. We haven’t spent anything on water catchment systems in 35yrs. We haven’t spent much on new highways in 30yrs. We haven’t spent much on significant power generation capacity. He have however had public sector employee unions since Brown’s 1st term, over the same timespan. We have grown education and welfare spending to ridiculous levels over the same period. We have fostered and invited and established ‘sanctuary’ cities for 10% of the population of Mexico. State Tax Revenue was roughly 3% of CA residents’ total income in 1950. It soared from 5% to nearly 7% under Gerry Brown’s first tenure as Governor. It remains in the mid-5s now. State spending increased from $56 billion in 1998 to $131 billion in 2008. DOUBLED in just one decade. Our 2015 budget in a hair under $150 Billion. CA’s 1950 budget was around $1.1 Billion. * in 65 years our population has quadrupled. State spending has increased 136x. There you go…..doomer working the numbers no one gives a rat behind about. Negative negative negative. Geesh give Richie Rider a break……he needs uplifted…..
Plus, everyone gets a magic pony, as long as we’re making stuff up …. Good idea….ride a magic pony out of Kali……but pack and ship with us…. Liberals hate math. Like the teacher union chief in my town….insists that teacher has had a raise since 2004. The state spending in sparse under Brown, even though it has exploded. The poverty rate growth in Cal. Is increasing, but the economy is on fire. We don t have enough water, but our school’s teach it is ok to bang like bunnies when you are 13..
Well, if the future is theirs, they might as well f;/= on the way. Desi. Your future is not in doubt. Relax. Turn your hat backwards, chuck the penny loafers, big gulps instead of latte, never scones……then they will send you a check too! The trolls in charge no nothing else. Tax the bastards! All will be well. This state is a complete basket case. I’m willing to bet it won’t survive the decade without a massive bailout. Moving business brisk. Houses selling like crazy. Doomers edgy and unusually miserable. Perfect storms….droughts….pestilence….frogs….Record year for us. Kook legislators abound with the usual fanatical building blocks to Utopia. Just lovin it! California is insane. My husband has a couple of years then we’re out of here. Good luck to you. Everyone has the right to locate where they are happy. I am happy in CA and have no need to detain you from remaining here.